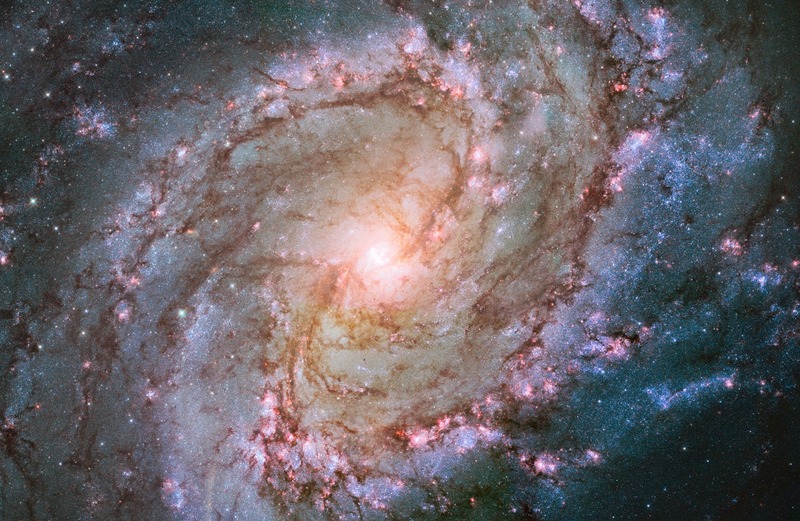 Just because, obviously, there can never be too many galaxies, here's a Hubble image of the one our friend M. Messier designated as number 83, also known as the Southern Pinwheel Galaxy. It's been the site of at least six recorded supernovae. Oh, and it's pretty.